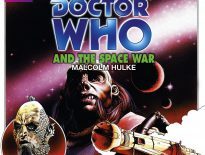 Call us optimistic, but soon after the publication of Target adaptations of City of Death, Rose, The Christmas Invasion, The Day of the Doctor, and Twice Upon A Time, we’re looking ahead at which serials might be next. One of the recent stories, most deserving a deeper exploration in a Target novel must surely be Face the Raven. Sarah Dollard’s story is a masterpiece in world-building and a novel would not only allow for some much-needed further exploration of Mayor Me, but also of the trap street. The episode drops lots of hints without needing to reel off lots of exposition and sets up a particularly compelling urban fantasy setting. It’s hard to watch this without wanting to explore this world further, and not just the motivations behind Me’s betrayal of the Doctor, but just how she has to balance unknown forces to keep the population of Trap Street from discovery. How long has it been there, who are all the inhabitants, does UNIT know about it? The list of possible angles to explore is vast, and really could be a whole series (hint, Big Finish!). Of course, if there’s one thing that demands a novelisation, it’s the Jodie Whittaker reveal as the new Doctor. When did the Doctor become a Jedi? Is this the end of the search for the TARDIS we imagine will start the next series? Can the Doctor really make a TARDIS key appear by psychic power? Imagine how much use that would have been on several past adventures. If there was ever a blank canvas screaming out for a novel, this surely must be it? 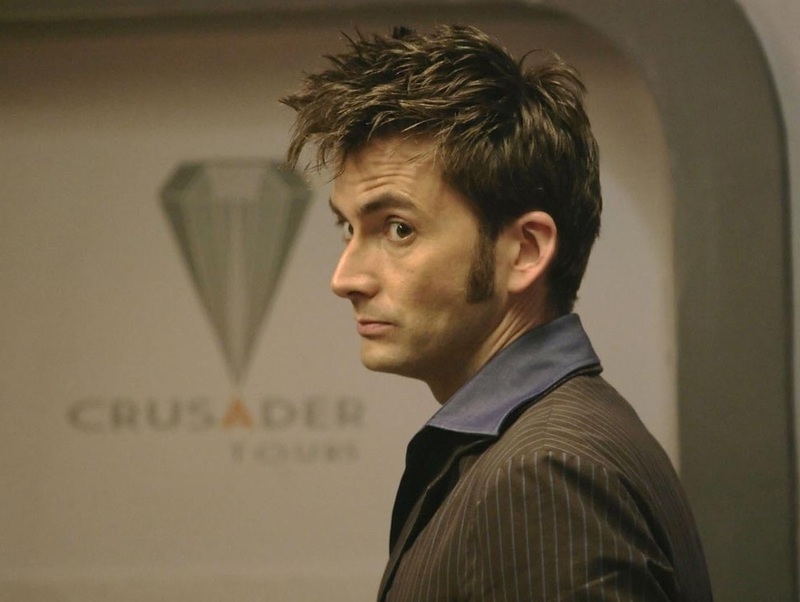 Heaven Sent: This episode was a risk – a bold move at a time Doctor Who arguably needed one more than ever. Self-contained, innovative, and brilliant, it manages to tell a complete story – the Doctor is trapped in a nightmarish Hogwarts largely of his own creation – while nestling comfortably in the largely dreary Series 9 arc. Heaven Sent is the episode where the Doctor spends much of his time talking to Clara, and occasionally to himself – it’s easily one of the most introspective of all Nu Who stories, and for all its stylistic flair, it’s Capaldi’s blazing performance that holds it together. Why novelise it? Because there’s potential for the book to be as interesting as the episode itself. Just as David Bischoff’s Gremlins 2 novelisation features the Chief Gremlin taking over the typewriter at the corresponding moment that the scaly green creatures take over the cinema in the film, so too there’s a lot of room for manoeuvre in Heaven Sent‘s more unorthodox moments. Different tenses for the TARDIS scenes? Different perspectives – Clara’s, perhaps? Different fonts for when time stops? And wouldn’t it be fun to see four billion years of history condensed into a few paragraphs? The possibilities are as limitless as the patience of the Veil. What a pity Iain M. Banks is no longer with us. Sleep No More: Ah, the much-maligned Sleep No More. It’s confusing, and I like it that way. There’s nothing Doctor Who fans hate more than having to work things out for themselves. Still, as loathe as I am to fill in the gaps, there’s great potential with this one to clear up some of the ambiguities, flesh out some of the characters – even tack on a coda or drop in a prologue. Besides, it’s a found footage episode. You find an effective method of rendering that in prose, I’ll buy you a pony. Nightmare In Silver: I hate Nightmare In Silver. It is all over the place. It has irritating comedy sidekicks (one of whom resembles a grown-up Charlie Pringle from Postman Pat) and a plot that goes nowhere. It also features some of the worst child acting ever seen in Doctor Who, and an enormous plot hole: why on earth didn’t the Doctor leave the kids in the TARDIS before he went off exploring? Supposedly, the answer lies in the original script, which was rather different to the version we saw on screen, and probably a marked improvement on the one that now graces the DVD shelves. But a Target edition grants the perfect opportunity to put all that right. 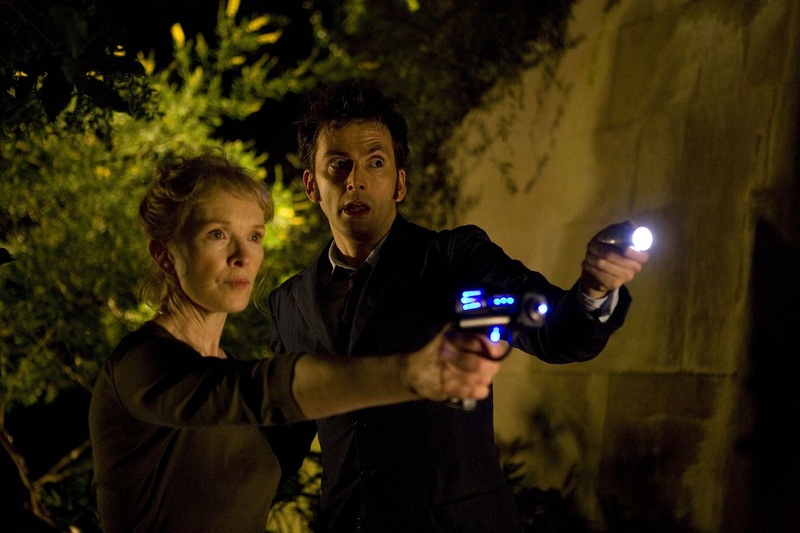 It’s Nightmare In Silver as it was intended – holes fixed, acting immeasurably improved (simply because you’re reading it in your own voice), and an epic, semi-dramatised showdown between the Doctor’s good and evil side, duelling on the metaphysical plane. Perhaps they could slip in a fight scene in a junkyard. I’m being flippant now, but consider: this is literature’s chance to fulfil one of Doctor Who‘s great missed opportunities – and for that, if nothing else, it deserves a shot. No idea who could write it though. I always like my Target Books to simply tell the story virtually as it appeared on TV, albeit with a few choice embellishments. I like just to relive the tale. But when looking at which stories should be adapted next, I instead think this could be a chance to do something different. It could be a chance to take the most narratively challenging serials and see what the world’s best writers can do with them in prose. That’s why my first pick is Midnight. This is a tale all about isolation and characterisation. The script utterly sparkles, and so do the actors. The characters’ backstories can be explored thoroughly in a novel, but the most interesting thing about it would surely be in playing with language. The creature manifests and conquers via speech, so how would a book version duplicate this? Would it be simply through repeated lines? Or could something even cleverer be achieved? I’m sure the latter is possible. Just don’t get Davies to adapt it; much as I adore the man, his Rose – approached almost like a Virgin New Adventure – took the magic out of the story for me. Anyway, how could a story in which song is such an important factor be converted into prose? I like to think it would be like those kids books where there’s a plastic panel to the side, with buttons to press when prompted in the story; each would generate a noise. Anyone else have them? Oh, and definitely get Neil Cross to adapt it. His novels are superb. 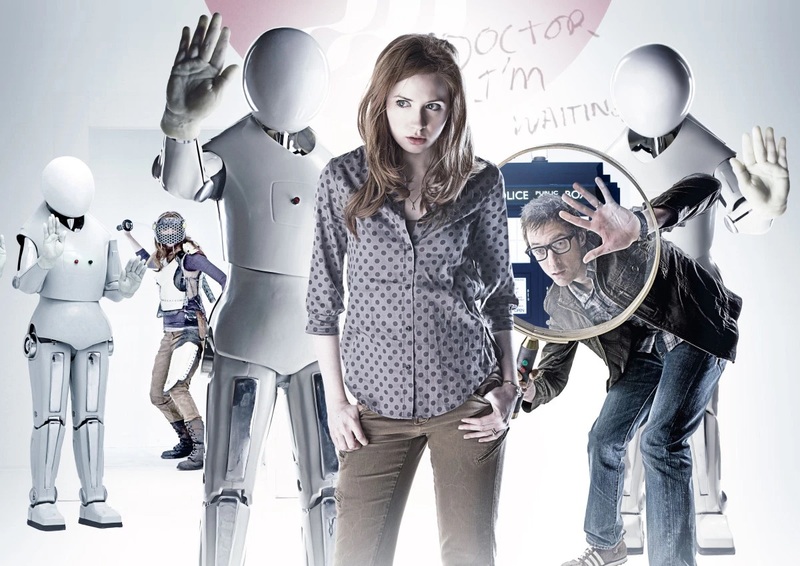 Finally, I wonder what can be done with another of my most-loved tales, The Girl Who Waited. Could something ingenious be done with the Two Streams Facility? I have no idea what, but presumably the answer involves the phrase, “timey wimey”. I’d like Tom MacRae to write it, but if he’s too busy, might I suggest trying a new writer – Karen Gillan? She’s written, directed, and starred in her first full movie recently, and she’d be the perfect pick for The Girl Who Waited. Just look at the smart choices she made in playing the two different Amys: she knows this character, through all ages. I’m sure she’d pull off something magnificent. I do have many episodes (and two-parters) in mind that would work well for the Target range, but of course, I must stick to my top three. The Stolen Earth/Journey’s End: Whilst reading the shooting scripts with The Writer’s Tale, and doing some online research, I thought “maybe they should both be novelised.” That was a good few years ago. 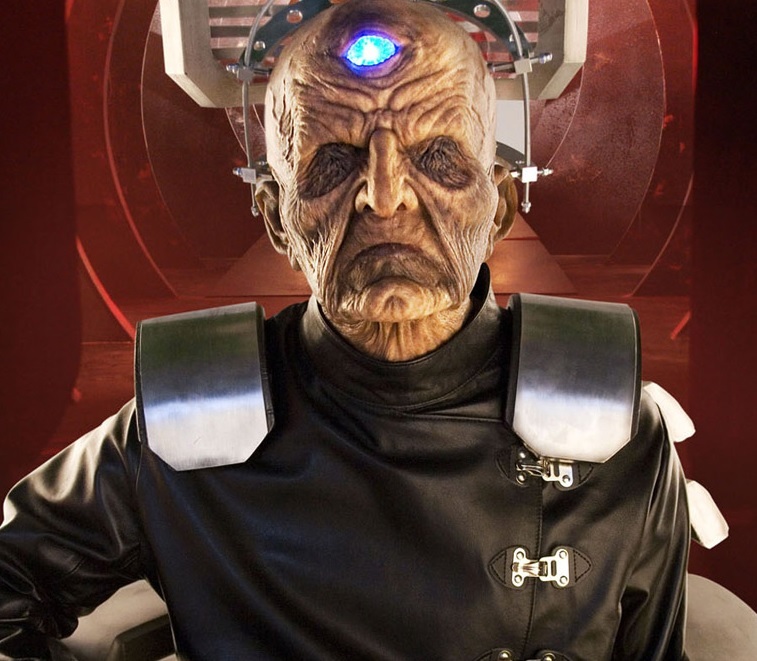 Even some of the unfilmed scenes from the draft scripts, such as the cameo appearance of Prime Minister Aubrey Fairchild, more species in the heart of the Shadow Proclamation, Davros’ backstory, etc., are worth part of a full reading experience. Certainly no need for extra budget to novelise an action-packed epic! Heaven Sent/Hell Bent: One of my absolute favourite finales together written by Steven Moffat and directed by Rachel Talalay, along with World Enough and Time/The Doctor Falls (scripts are sadly not yet online). Many would consider this one a two(ish)-part finale, and that’s understandable. I was thinking the whole novelisation could be told from the perspective of the Twelfth Doctor (first-person), from the start of the opening diner scene in which he begins by recalling the events of Heaven Sent, instead of only Hell Bent. Wouldn’t that be interesting? 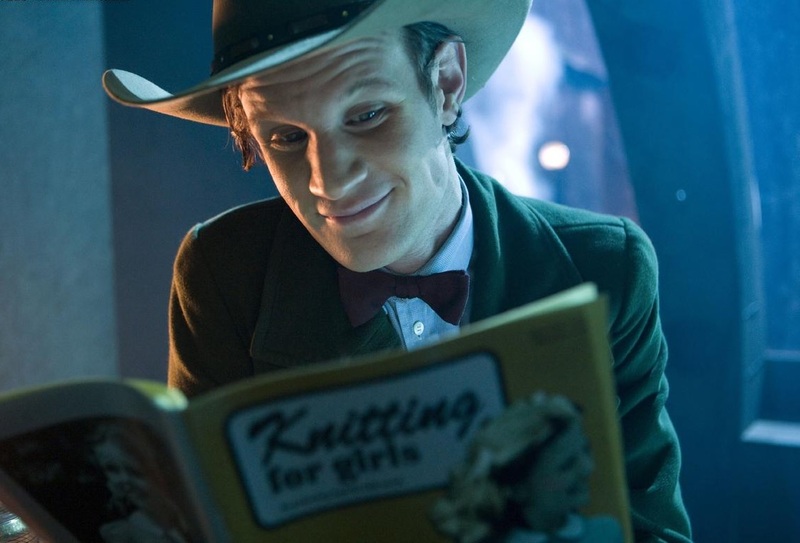 The Eleventh Hour: This was it – where we, alongside a larger more global audience, were immediately convinced that Doctor Who could continue to be awesome with Mr Smith, the 26-year-old Whippersnapper taking the lead role. This is an important story for 21st Century Doctor Who and I think it needs due credit. 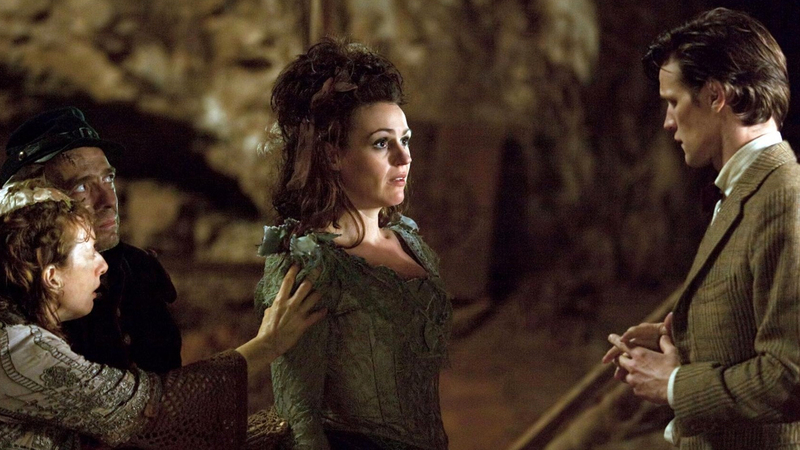 It also set in motion a lot of Steven Moffat’s signature tropes of merging science fiction/ fantasy with fairytale. And there are a few elements that could do with some in-print embellishment. The bizarreness of Amy being a kissogram for one thing. The whole point seems to be that this was a wilful teenaged notion from younger Amy that never happened – and the unreal nature of her police outfit didn’t quite come across on screen, making the whole scene somewhat uncomfortable. A book could sort this right out! The Doctor’s Wife: This story is so beautiful it deserves to live in as many media as possible! Given the obvious choice of novelist would be the celebrated author Neil Gaiman himself, this seems like an opportunity not to be wasted. The characterisation of the TARDIS and its experience of events as all-at-once or having access to the beginning and end of things at the same time would make for a challenging and intriguing read. Frankly, I think this heads the list of target novelisations BEGGING to be made. The Doctor, The Widow and the Wardrobe: This Christmas special suffered somewhat in translation from script-to-screen. The central conceit – that an entire species of asylum seekers (the tree-spirit thingies) identifies and captures a grieving wife and mother as the ideal pilot to guide them to safety – is full of poignancy and drama. Madge Arwell is fighting back the tears while she carries on with the most important thing she can in being a mother. She’s a picture of fortitude and containment – a mothership. And when given control of a time-travelling geodesic dome to get them to safety (Doctor, kids, and asylums seekers all), she zips back in time and alters history, being a guiding light to get her husband back home to safety… this is pure heart-tugging drama. The C. S. Lewis trappings and mystery of a world in a box are perfect for the written word and I think there’s a huge amount to be drawn out from a highly underrated and underserved story. Father’s Day: Paul Cornell could write it! He has adapted a book of his to TV; now he can have a crack doing it the other way round. While the single setting of the church lends itself to TV, the book could venture outside of this by giving backstory to the characters. It could also include more information about how Jackie and Pete met and perhaps more background on the Reapers (who I really want to Vortisaurs). The book could also put a spotlight on the Doctor, who is sometimes a background character in his own show in that first series. Seeing him interact with the other guests at the wedding would just be fun. 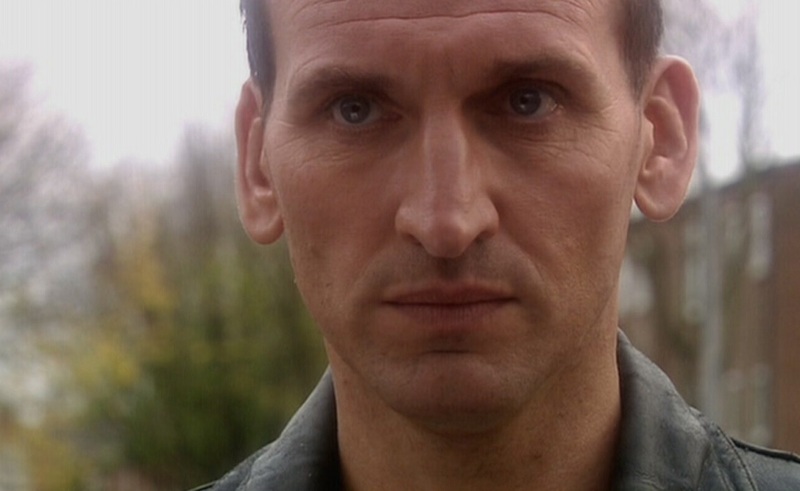 Who doesn’t want more Ninth Doctor?! Love & Monsters: Love & Monsters is an excellent idea wrapped in an Abzorbaloff. The menace of Peter Kay looms large in all our minds, but a story focusing on the people who have witnessed the Doctor needs to be fleshed out more. 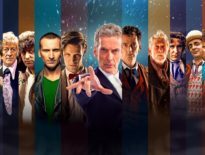 You could take time with a novel to explore how all the characters met the Doctor and why he impacted them so greatly. In the episode, we only saw a montage of LINDA’s meetings; an author could have great fun with fleshing out these meetings and creating an entertaining comic novel…. As opposed to whatever it was we had on TV. They could even change the ending. Amy’s Choice: I just want to read more about Rory’s ponytail. Alright, so it is more than that. I want to see more of Rory’s idyllic rural life as a doctor (lower case ‘d’), there would be a lot of fun to be had creating a Rory’s Perfect World. You could also get inside the Doctor’s head. The Dream Lord was a perfect mouthpiece for the Doctor’s inner thoughts and I think prose would be an excellent vehicle for this. Additionally, it would be nice to see more of Leadworth in general (Upper or otherwise). The Eleventh Hour seems like it is setting up a place and a cast of characters that the TARDIS team would revisit again and again, but they very rarely go back. I want to see what Rory loves about the place. Ah yes, reading. A worthwhile pursuit – not as worthwhile as saving your own species by encasing them in tanks and making sure they become the superior beings in the whole universe. But still worthwhile. In a limited capacity. There is no need for superfluous fiction. We need pure scientific fact. Only then can we elevate ourselves beyond the flesh. However, if you insist, and as the DWC particularly insists (we have an arrangement which includes occasional ramblings, in exchange for satisfactory monetary recompense and an ice lolly from the freezer in hot weather), I shall enlighten you about which serials should take their literary place in the esteemed company of Doctor Who and the Destiny of the Daleks. My first choice is The Stolen Earth/ Journey’s End. Though we were betrayed, it ably demonstrates our victory over the Doctor. You see him. The heart of him. The destroyer of worlds. I could opt for Victory of the Daleks, as that also included our complete and utter victory. But I wasn’t in that one, and the BBC pays me extra cash for use of my likeness – because, of course, the BBC will want my glorious face on the cover in order to attract more custom. So instead, I’m opting for a classic unadapted serial: Resurrection of the Daleks or Revelation of the Daleks. I would pick just one, but I can’t decide, and just can’t stand the confusion in my mind. Finally, my third and final choice is The Lodger. I just think it’s hilarious. ← Is This Confirmation That Doctor Who Series 11 Begins In October?